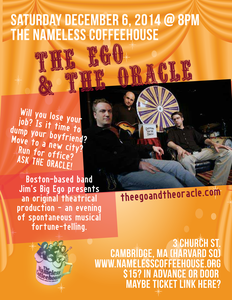 Back by popular demand - The Ego & The Oracle returns to the Boston Area in April for a 10 show run that started April 27th at Jimmy Tingle's Off-Broadway Theater in Davis Square, Somerville. 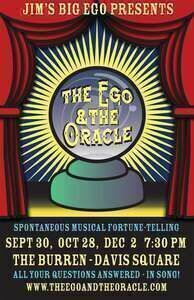 Part improvisational theater, part rock and roll cabaret, part audience participation, and inspired by Radio 8Ball by Andras Jones, The Ego & The Oracle is a live stage spectacular where A Ouija Board meets an iPod Shuffle. The premise is as simple as it is unique. Audience members are invited on stage to ask questions of The Oracle. 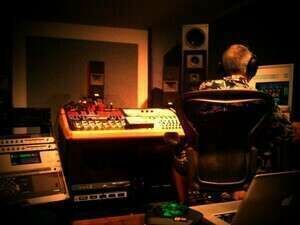 They then spin a wheel containing Jims Big Egos songs. When the wheel stops, the band spontaneously performs the chosen song, which in turn is interpreted as the answer to the question. The outcome can be humorous or moving, often both at once. It is a show about synchronicity and its hard to experience it without getting the sense that the universe is not only in tune, but that it also has a great sense of rhythm. 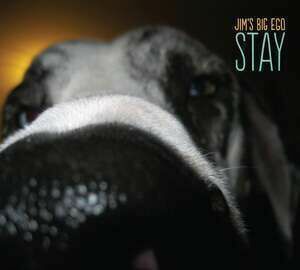 The Ego & The Oracle returns to Jimmy Tingle's Off Broadway Theater for a limited run that started the weekend of April 27, 28, 29, and continues every Sunday through June 17.